Will Congress reform the nation’s immigration laws this year? The political winds may have shifted on the divisive, long-stalled issue of immigration reform. In June the Senate began considering a bipartisan bill that would bolster border security while providing a path to citizenship for most undocumented immigrants. 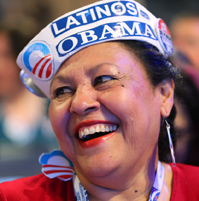 Many observers attribute the change to the growing clout of the Hispanic electorate, which voted overwhelmingly for President Obama in November, and to recent polls showing support for citizenship for some immigrants. Although migration from Mexico has fallen since 2007, the 2010 Census found that Latinos represented more than half of the U.S. population growth during the previous decade, most of it in the West and South. Six states, mostly in those two regions, have passed tough anti-immigration laws recently, but 21 others are considering relaxing access to college or drivers’ licenses for undocumented immigrants. The boisterous rally, one of several held that day around the country, was organized to push for congressional action to allow the 11 million immigrants who arrived here illegally to stay in the United States and eventually become citizens. The optimistic tone was a sign of how the political winds appear to have shifted on an issue that has long divided the nation. Will the rising minority population benefit the economy? Should states crack down on unlawful aliens? Do illegal workers help or hurt the economy? Does the U.S. admit too many newcomers?